Deputy President of ANC Women's League, Member of the NEC of the ANC, Council Member of the Robben Island Museum, Premier of North West Province. Thandi Modise, the youngest of six children, was born on 25 December 1959 in Huhudi township near Vryburg in the North West. Her father, Frans Modise, a railworker, was an African National Congress (ANC) activist. The students uprising in 1976 in her area coincided with the threat that the Vryburg area in the North West would be incorporated into Bophuthatswana. There was a great deal of resistance from the people of Huhudi, and a violent and aggressive reaction from police. When Modise was shot at by police one day as she was walking down the road, she became convinced that joining the struggle was paramount. She decided to leave the country and join Umkhonto we Sizwe (MK) in exile. In 1976 she slipped over the border into Botswana to join the ANC and was later transferred to Angola where she received military training at Nova-Katenga and Funda camps. At times there were only 30 women out of a total of 500 trainees. On some occasions she was the only woman in the camp. After training she worked in the camps as a political commissar. Modise also received political education, sitting in open classrooms, under trees, in Dar es Salaam, Tanzania. In a camp of four companies, only Modise and one other woman had a senior rank, the rest of the women were rank and file soldiers. When they started training she was made a section commissar. Later, Modise became a commander. According to Modise, it was tough because some of the men did not really want to be commanded by young women. In 1978 she returned to South Africa to work underground as an MK operative. She was arrested in 1979, while she was four months' pregnant. Modise received an eight-year jail sentence which she served at Kroonstad Prison and was the first woman in South Africa to be jailed for MK activities. While she was in prison, Modise enrolled for studies and completed her matriculation and a BComm degree in Industrial Psychology and Economics. She was released in 1988. A lover of jazz, Modise sang soprano in the choirs in the MK training camps. Modise recalls the late Oliver Tambo, President of the ANC, singing with the choir on a visit to one of the camps. Modise also enjoys watching soccer. "That's a pastime I developed in the camps. My favourite team was called the 'People's Club'," says Modise. Modise has remained committed to the Huhudi community. She started the African National Congress Women League (ANCWL) branch in Huhudi, and is a founder member of the Lesedi Community Clinic. Modise served on the ANCWL National Executive from 1991 to 1993, when she was elected deputy president a position she held until 2004. Between 1998 and 2004 she also served as chairperson of the Portfolio Committee on Defence and the Joint Standing Committee on Defence, and as a Member of Parliament. In addition, Modise serves as the Deputy Secretary General of the ANC and also a member of its National Executive Committee. On 19 November 2010 Modise was appointed Premier of North West province. In addition, she serves as the Chairperson of Council of the Robben Island Museum. 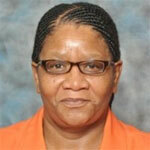 Thandi Modise has four children and lives in Johannesburg. • Modise, T and Curnow, R, Thandi Modise, a Woman in War in Agenda, No. 43, Women and the Aftermath, (2000), pp. 36-40.